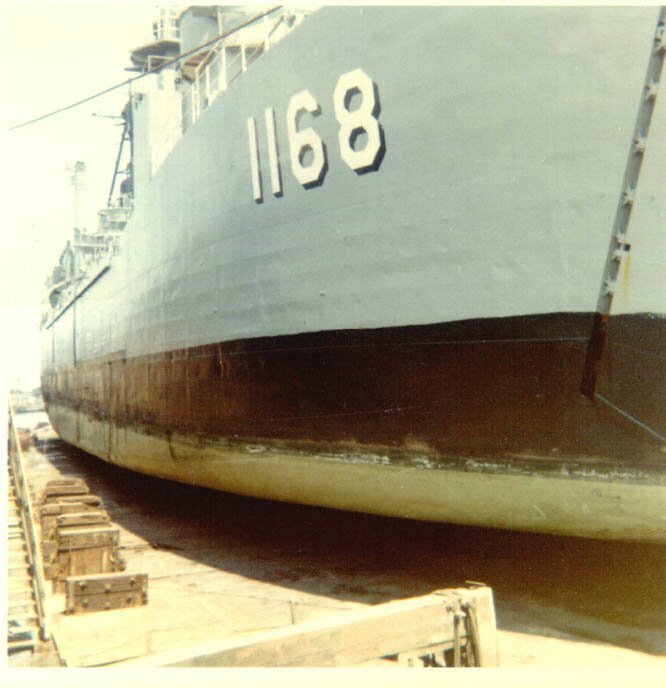 Laid down, 27 February 1952, at Christy Corp., Sturgeon Bay, WI. 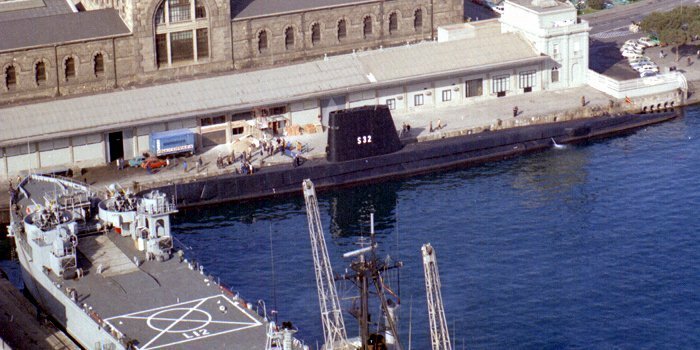 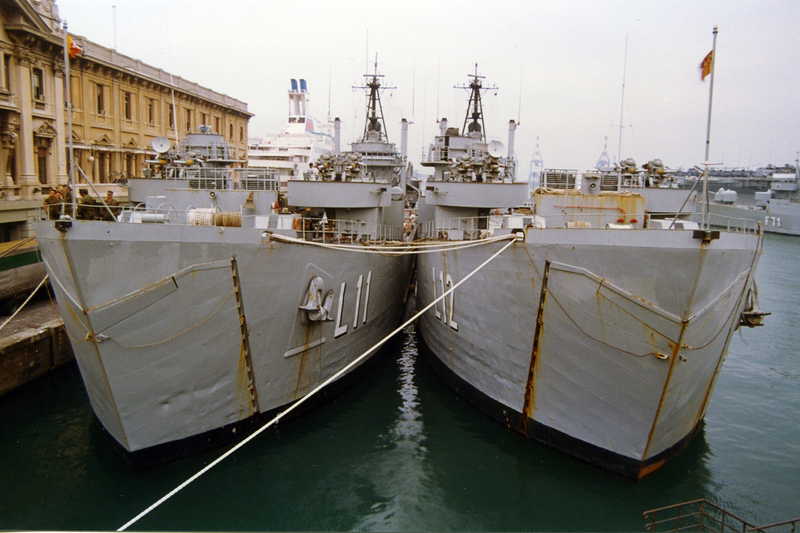 Decommissioned and struck from the Spanish Navy List by Order 613/03356/95, 9 March 1995 (Boletín Oficial de Defensa # 55). 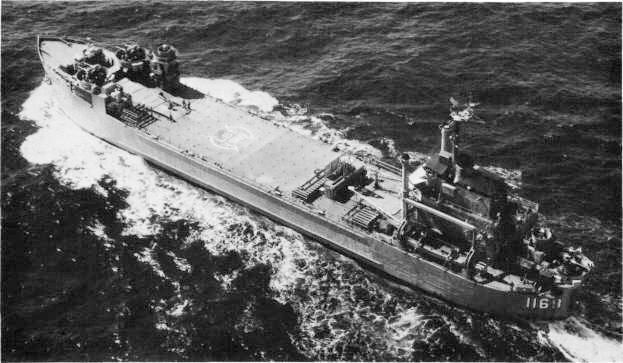 58k Overhead view of USS Wexford County (LST-1168), circa 1967. 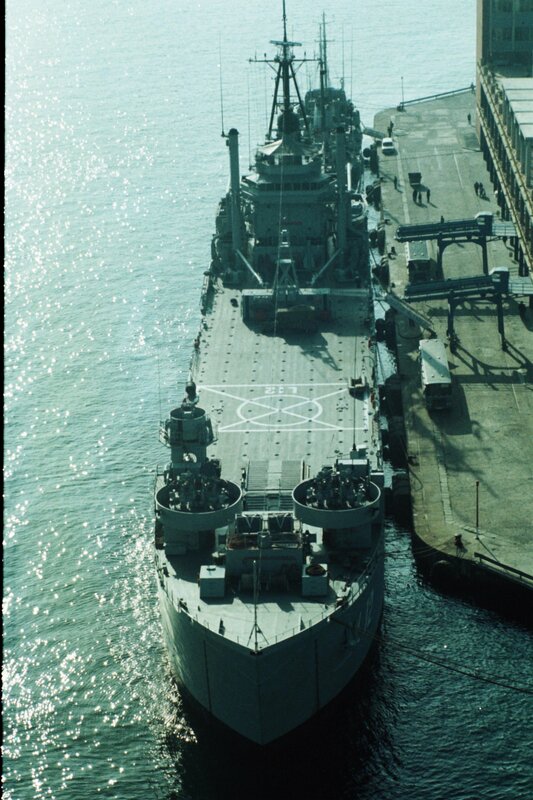 Her deck is marked out as a helicopter landing area; ships of this class can land the heavy CH-46 Sea Knight and CH-53 Sea Stallion. 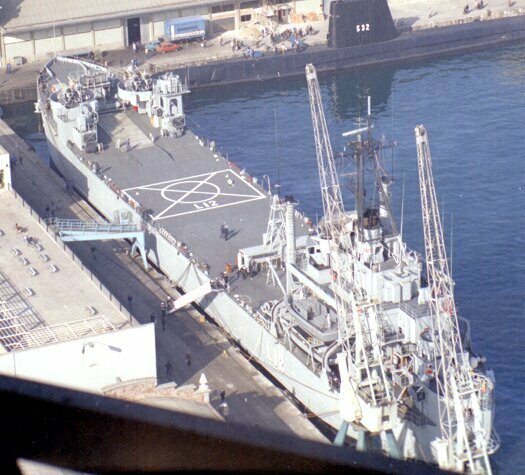 She is armed with three 3"/50 twin rapid-fire gun mounts, introduced after Korea to replace the earlier 40mm Bofors weapons. 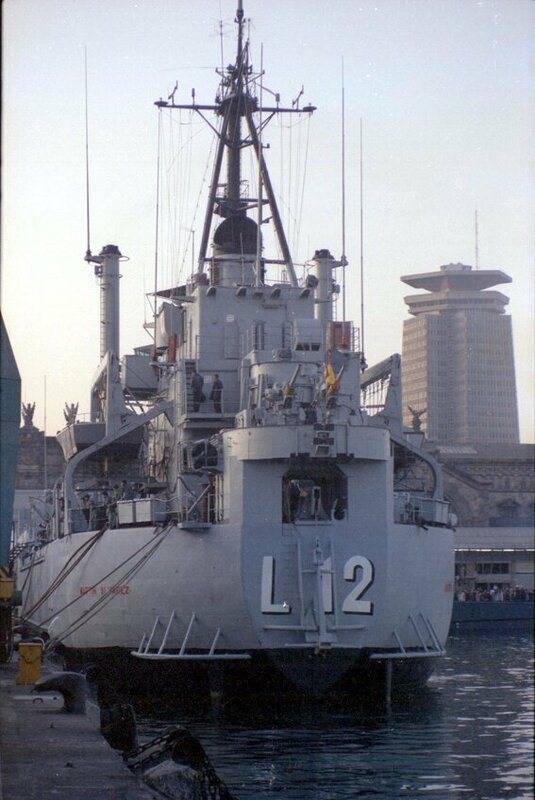 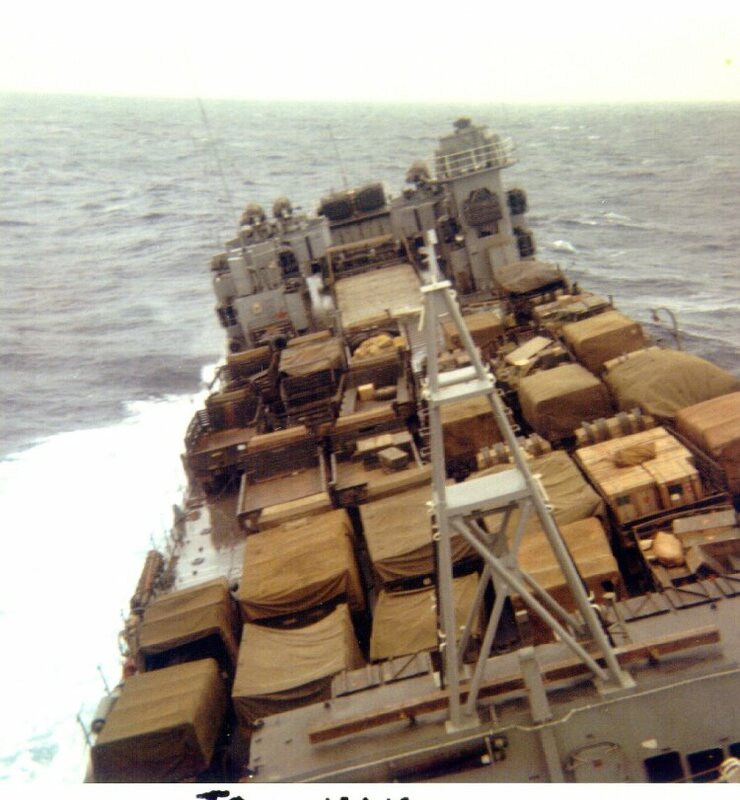 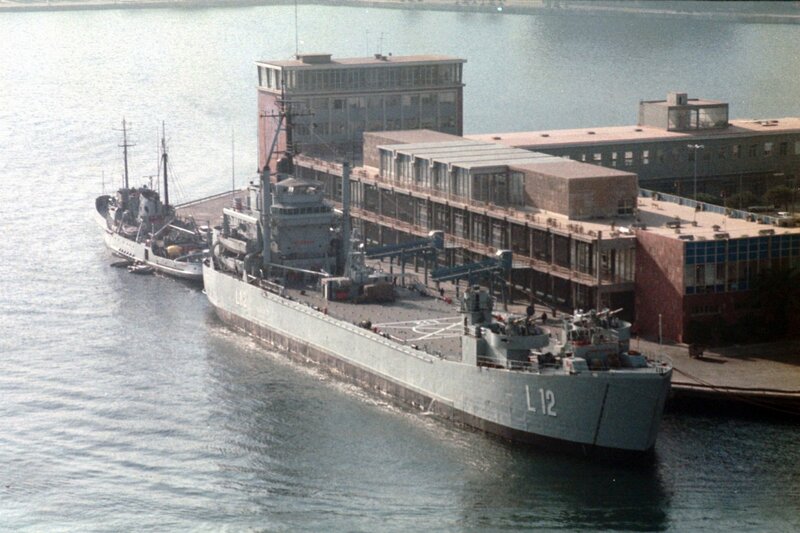 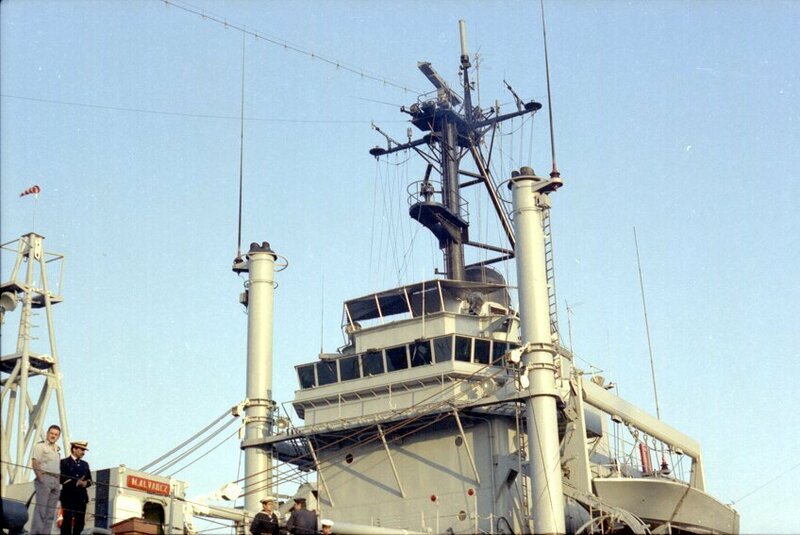 The "shelves" along the sides of her hull are supports for pontoon causeway sections, often carried by LST's. 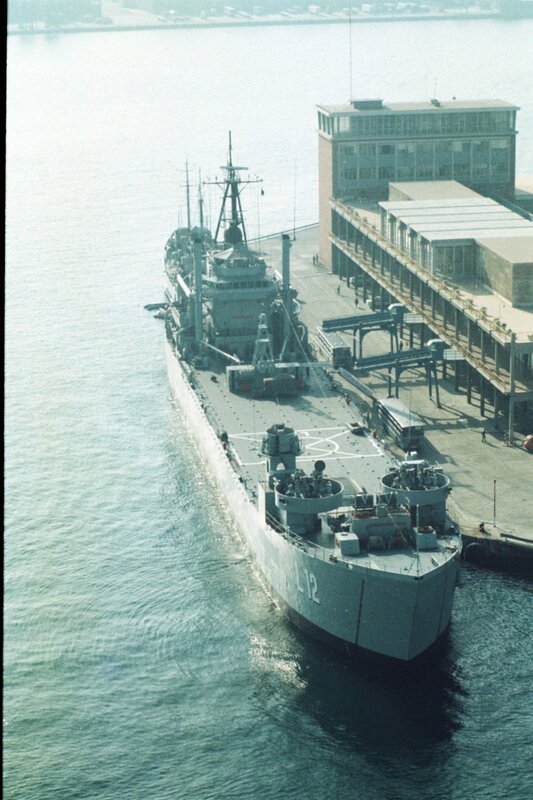 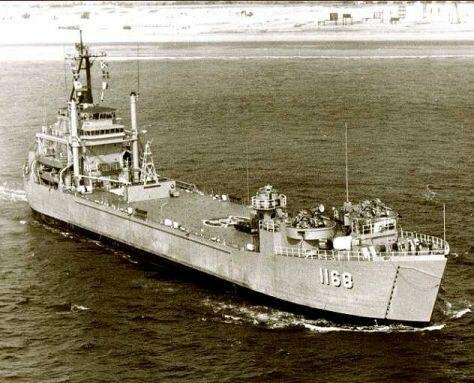 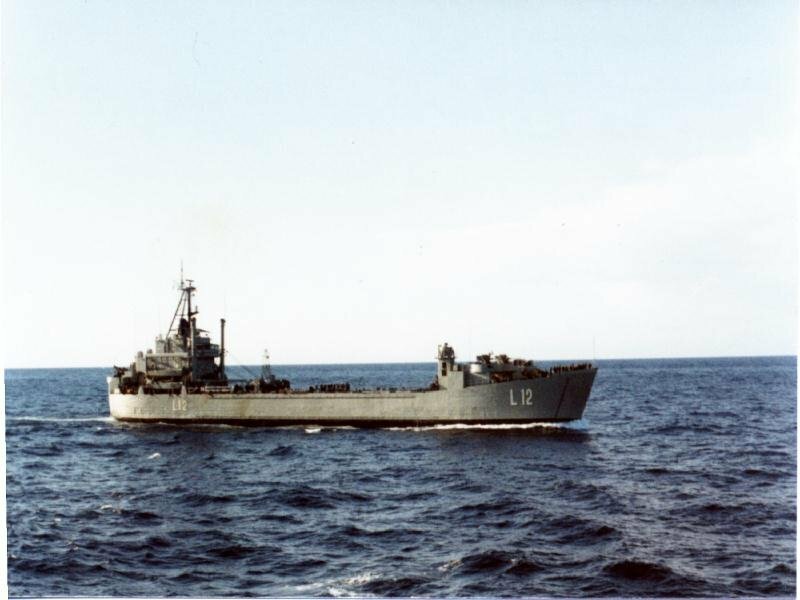 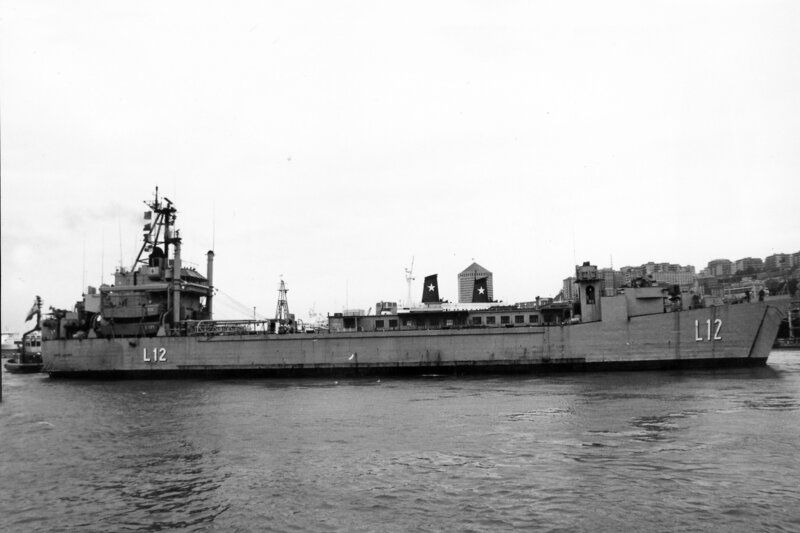 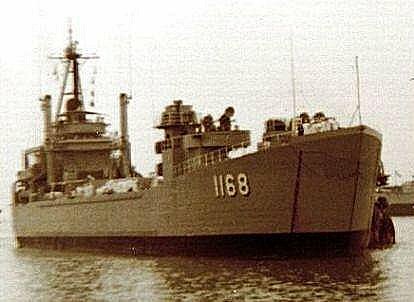 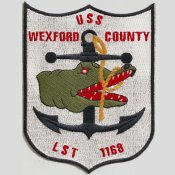 57k USS Wexford County (LST-1168) underway, date and location unknown. 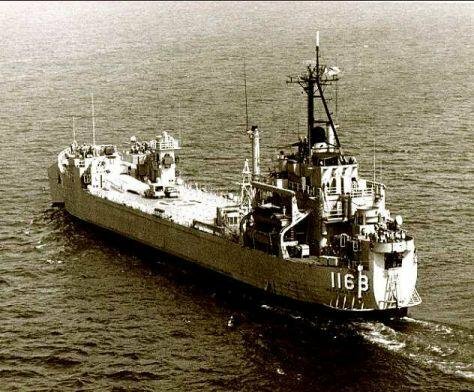 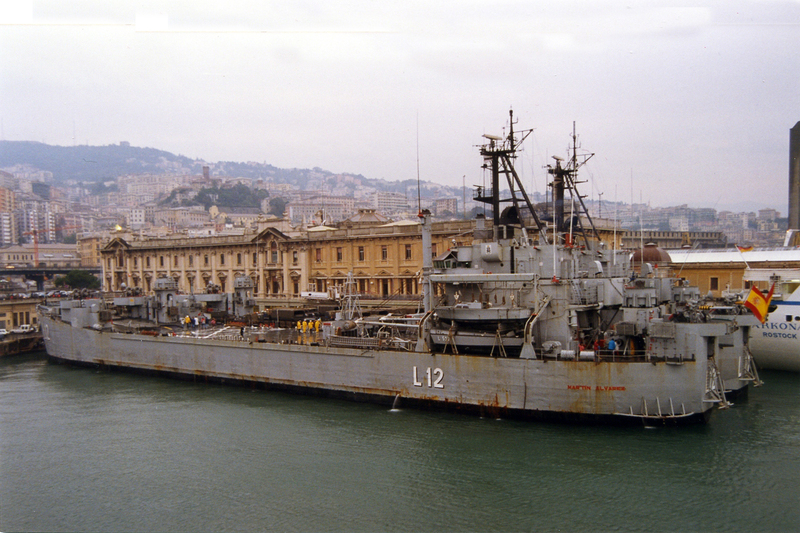 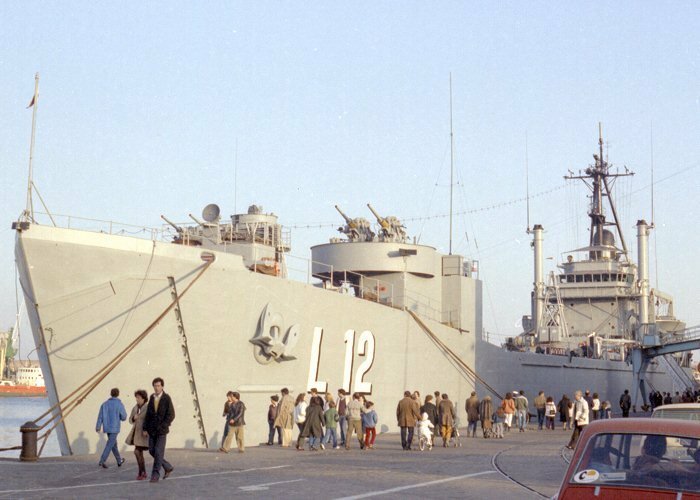 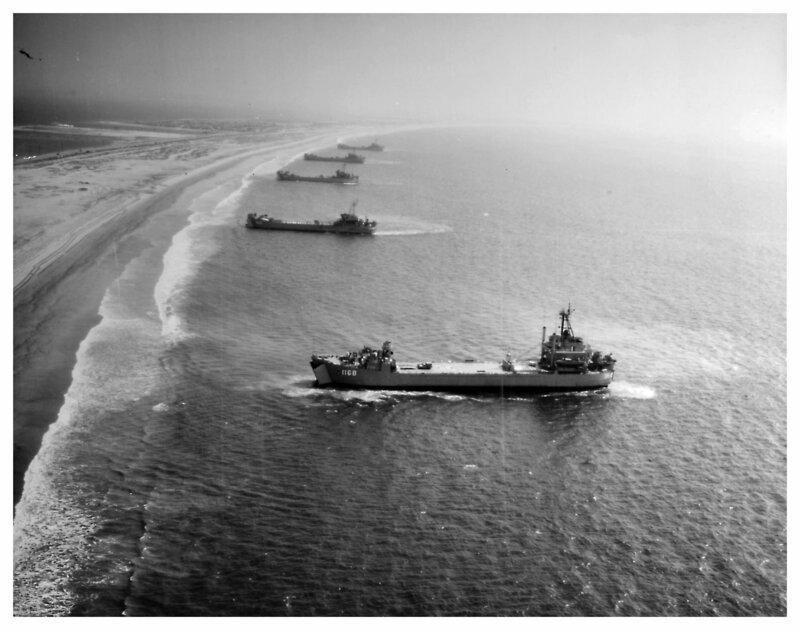 Photograph received from USS Polk County, 1969. 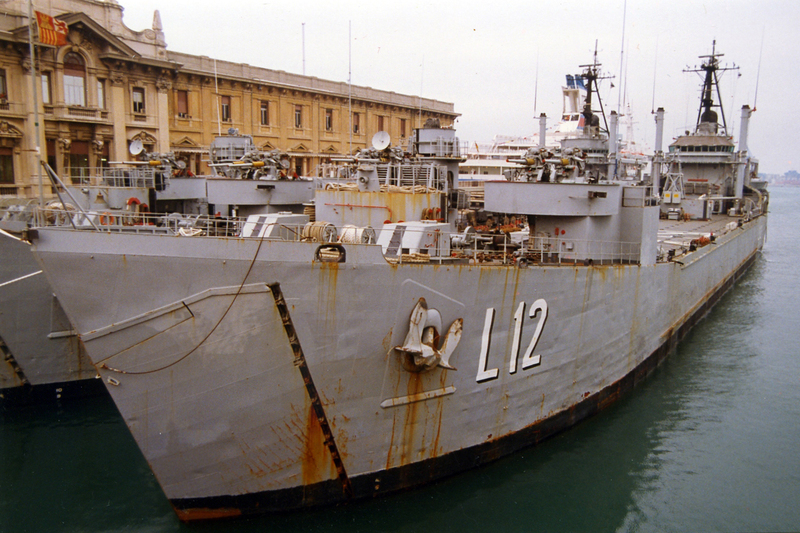 Namesake - Martin Alvarez Galan Montemolín (Badajoz, 1766 - Brest, France 1801). 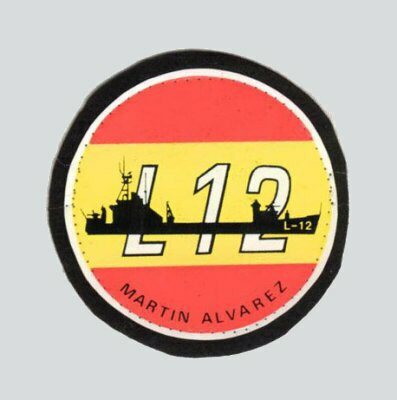 Spanish military man who participated in the naval Battle of Cape St Vincent, 14 February 1797, that pitted Spain against England.